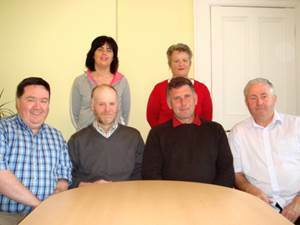 The Parish Finance Committee is composed of the Parish Priest and six parishioners. The members, chosen by the parish priest, have knowledge of accountancy, business, building, law and other expertise the parish priest feels would be useful. 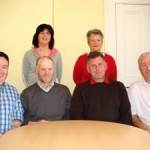 The committee meet approximately once a month or as business requires to assist and advise the Parish Priest in the Administration of the goods of the parish. Standing: L-R Geraldine Gilmore, Mary O Flynn. Seated: Cathal Gilmore, Michael Stuart, Paul O Prey, Brendan McCarthy. * on the preparation and updating of records of parish finances. * generally on other appropriate matters when requested by the Parish Priest.